Government funding for children’s services in Hartlepool is expected to be cut by £7.5million by 2020. 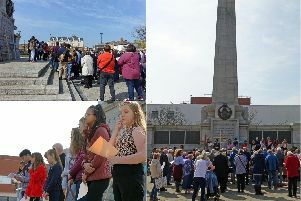 A report published by charities Action For Children, National Children’s Bureau and the Children’s Society has revealed that Hartlepool Borough Council’s budget could be cut by 73%. These figures demonstrate the significant cuts in Government funding and this is placing extreme pressure on the council to maintain vital services to the children of our town. It states that the town was given £10,313,983 to spend on children’s services for the year 2010-11, but projects that by 2019-20, that figure will fall to £2,811,837. The ‘Losing in the long run’ report from the charities questions the sustainability of further cuts and examines the amount of money central government is giving to local authorities for early intervention services. Children’s centres, teenage pregnancy support, short breaks for disabled children, information and advice for young people and family support are some of the vital services that are affected by the cuts. Coun Chris Simmons, chairman of the Hartlepool Borough Council’s Children’s Services Committee, said: “These figures demonstrate the significant cuts in Government funding and this is placing extreme pressure on the council to maintain vital services to the children of our town. A survey of 20 local authority councillors in the North East revealed that 56% are worried that a reduction in government funding will mean a reduction in these services. This is despite the vast majority – 94% – of councillors saying that early intervention is a high priority for their local community. Although councils will gradually gain some new powers to raise revenue to pay for services through taxes collected from local businesses, 74% believe that it will be impossible to maintain current levels of spending on early support. John Egan, director of children’s services across the North East, said: “Central governments have hacked away at the budget for early help which has had a devastating effect on local authority spend to support families across the North East.